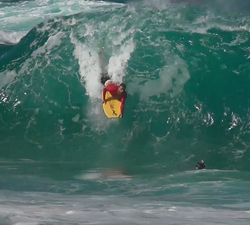 Sen no Sen Presents: Andre Botha going ham on the North Shore this winter. Shoot and edit: Chris Kincade! Andre Botha charging massive Pipeline over the last North Shore season (2017/18). Filmed & Edited by Alexandre Paredes. Andre Botha utilising his yearly season pass to Poundtown .Shoot and edit: Chris Kincade Photography. Andre Botha charging hard as always during this past North Shore season. Shoot and edit: Chris Kincade Photography. 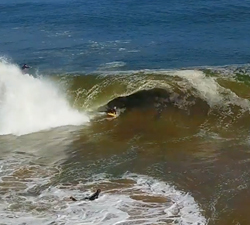 Andre Botha won’t be found anywhere else in the world while it’s winter on the North Shore. This is his 2017-2018 season. 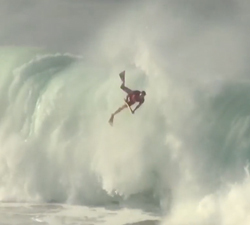 Andre Botha charging hard during this season on Oahu. Video and Edit: Chris Kincade. Thumbnail: Marck Botha. Three short clips from Chris Kincade Photography, featuring Jeff Hubbard and Andre Botha charging Pipeline early this year. Andre Botha hooking into some Pipe bombs last Friday. Video/Edit: Chris Kincade. Drone: Steven Tiralongo.